Hsin-Lin Tsai has concertized as soloist and chamber musician throughout the United States, Europe and Taiwan, and has performed with artists such as Christoph Eschenbach, Sir Colin Davis, Stanislaw Skrowaczewski, and principal players of the Boston Symphony, Cleveland Orchestra, Montréal and San Diego Symphony orchestras. Her playing has been praised as "outstanding" by Richard Dyer, former Chief Music Critic of the Boston Globe, and the legendary Yfrah Neaman said of her "I have not heard anyone play with such musicality, emotion, and beautiful sound in the last fifty years." First Prize Winner in the Taiwan National Violin Competition and in the City of Tainan Violin Competition, she gave her New York City recital début at Carnegie Hall. She has released solo CD recordings with the label RTVE MUSICA, and she has performed at the Spanish National Radio, broadcast live throughout Europe. Dr. Tsai was invited to perform at the Lucerne Music Festival in Switzerland and in some of the world's greatest halls, including Lincoln Center in New York, the National Concert Hall in Taiwan, the Víctor Villegas Auditorium in Spain, and historic Symphony Hall and Jordan Hall in Boston. She plays with the Boston Ballet Orchestra, and is a member of the "extraordinary" (Martín Llade, Melómano music magazine, Spain) L'Etoile Duo with her husband, violinist Miguel Pérez-Espejo. Together they champion the new works by composers of our time. Upcoming engagements include a collaboration with Augusta Read Thomas and a concert and master class tour in California. Dr. Tsai has been invited to perform at international festivals that include The International Holland Music Sessions (The Netherlands), The International Musicians' Seminar at Prussia Cove (U.K.), Schleswig-Holstein (Germany), Pro-Cello (Switzerland), Yellow Barn, and Manchester Music Festival, performing and working closely with eminent artists such as James Dunham, Gyorgy Pauk and Lorand Fenyves. Hsin-Lin is passionate about carrying on her musical legacy through teaching. Her students have have performed as soloists and in recital in venues that include Carnegie Hall and Jordan Hall. They have have won first prize in competitions and professional orchestra positions, and have been invited to international festivals. She has taught at the International Master Classes of the Mediterranean in Spain, Boston University, Bridgewater State University, Boston Philharmonic Youth Orchestra, and the New England Conservatory's Preparatory Division. She is currently on faculty at the Boston University Tanglewood Institute, Boston Youth Symphony Orchestras, All Newton Music School, and is affiliated faculty at Tufts and Harvard universities. Dr. Tsai graduated from the New England Conservatory of Music in Boston with Distinction in Performance, and received the Artist Diploma from the Guildhall School of Music in London, on a full scholarship. 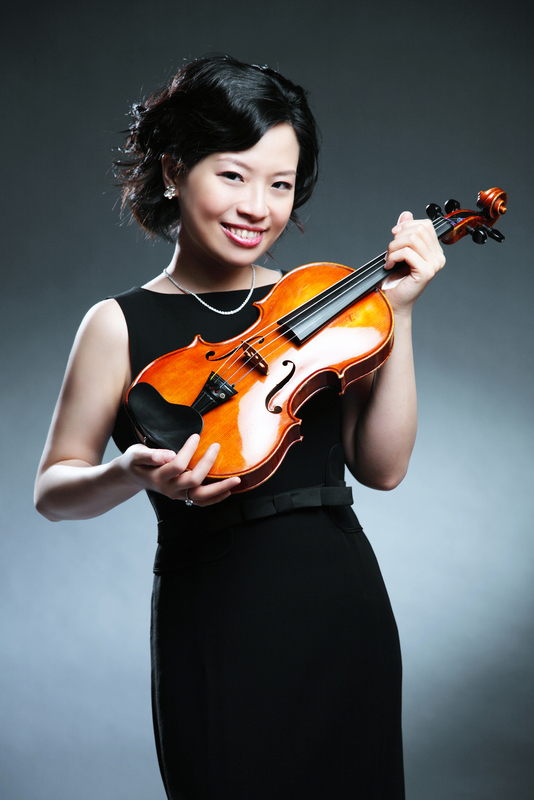 She received her Doctor of Musical Arts Degree in Violin Performance from Boston University. Her dissertation, Poulenc Sonata for Violin and Piano: An Analysis, has become an essential reference work for scholars worldwide. She is a member of Pi Kappa Lambda, the National Music Honor Society of the United States. Her teachers include legendary artists such as Harvey Shapiro, Eric Rosenblith, Michèle Auclair, Yuri Mazurkevich, Eduard Schmieder and Erick Friedman.